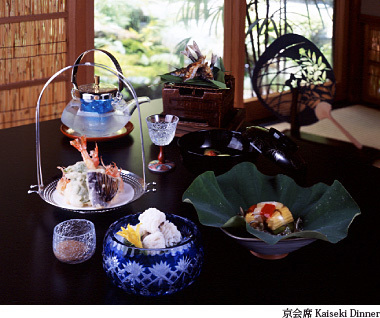 Their qualified cook will provide you the distinguished set menu of select food served on an indivisual tray, so called “Kaiseki” which is presented by traditional skills of cook. Please enjoy the sophisticated flavor of Kyoto cuisine. Also informal Tempura Counter is available where our cook is frying Tempura in front of you. For the guest of more than two nights accommodation, “Shabu-Shabu Dinner” is also available for you variation of choice. 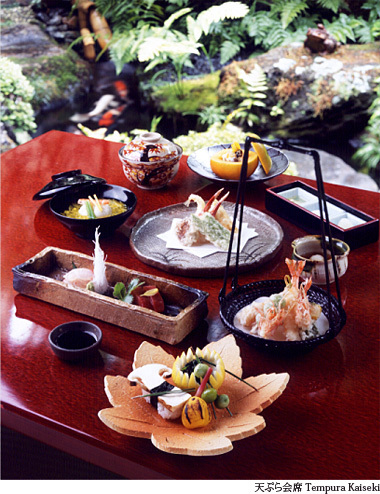 For your breakfast, they will prepare Japanese Style or Western Style so that you can select.